See the reply buttons regarding the article published on 12/01/2009 [Hitler, Soccer Gleghorn and More]. Mr Holliday is interested in hearing about John Ramm, Raymond Race, Nora Jackson, Greta Turnbull, Robin Proctor and any other people that recall him. This effort is not an essay. It is not a tightly worded academic piece that has been tooled and crafted with assistance from a dictionary, much inner reflection and a shot of received wisdom. Rather it is another one of my brainstorming ‘let ’em have it’ short articles that may bring anything ranging from shame to universal praise – or perhaps more realistically – disbelieving silence. Whatever the response, if there is one, it is eagerly awaited. Those dreaded noughts, that are frequently associated with reply boxes, have seldom got me down. Many men came from far and wide to work at the mine, although the majority came from County Durham. Their main desire was to make money and their chief asset was brawny strength. In the 1880s they were subjected to a mine owner who was armed with some negative Victorian attitudes. That obnoxious demand for deference existed in and around the colliery and perhaps a smattering of Thomas Carlyle’s influence was also in the air. Reports indicate that Chaytor’s appointed manager, Robinson, often behaved in an out of control manner.I would have loved to down a pint with him at The Flass and chat with a view to understanding his view points. As for the workers, and their families, they deserved much better. They had a traumatic time until Chaytor tired of it and left the scene. A detailed account of the mining dispute at Ushaw Moor is on site. A fair share of the young women soon left Ushaw Moor to enter domestic service. Some employers barely understand them and some even thought that they were wild and unworldly -in relation to their comfortable world anyway. This was the time when many girls did not know where babies came from, but suspected that a kiss might produce one or more children nine months later. Moving on into the early 20th century one of my favourites, Marie Stopes, saw how badly treated women were and sought to provide information and family planning clinics.Stopes wrote a book called Married Love which, amongst other things, demanded more refinement and consideration from men in their relationship to women. She enabled some women to be empowered, although I believe in the early days it was largely middle class women that took advantage of her information, facilities and inspiration. Marie Stopes was a somewhat flawed individual but nevertheless a brilliant one. Guardian readers voted her woman of the millenium at the end of the 20th century. They were probably right to do so. There are other gems hidden away in replies to main posts so I recommend that you do not neglect to read the comments boxes! Actually there seems to be a problem with the above link so instead just type: David Simpson North East – in a Google search box and up will come several sites featuring him. 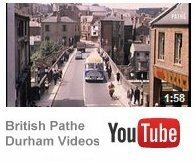 I like the very first one – it features a lot about the North East, with some fine pictures. You may be interested in this item. I recently stumbled across the Siver Tree Primary School site at www.silvertreeprimary.co.uk . On entry to the site go to – Old Photos and Documents – for access to an extract from the Ushaw Moor Junior School log and some pictures. Perhaps One Of Them Was Sleeping In Your Bedroom 118 years ago? Phillip Illingworth was originally from Rainton and was living at 16 Whitehouse Lane all those years ago. Meanwhile at 19 Whitehouse Lane Wilkinson Oxley was most probably sleeping like a lamb. Yorkshireman John Kirby probably had a quiet drink of something before retiring to bed at 21 Whitehouse Lane. Philip, Wilkinson, and John were not always sleepy; being workers at a local pit they no doubt worked very hard indeed.